Lasted from 1.0 billion to 542 million years ago this era is the last of the Proterozoic eon. Neoproterozoic era is divided into 3 major periods, the Tonian Period, Cryogenian Period, and the Ediacaran Period. This era is marked by different significant developments in the Earth’s biota, geology, and climate. These small organic microfossils were mostly found in the sedimentary rocks and originated particularly in the marine or the saline water. The sedimentary rock was initially pulverized and then was made to dissolve in e hydrofluoric acid. Acritarchs did not dissolve in the acid solution showing that they are made of non-carbonaceous and non-siliceous skeletons and thus were easily extracted out of the solution. They clearly revealed to have an organic walled structure that contained absolutely no minerals at all along with the remains of different organisms mostly in the stage of cyst. It was in the Tonian period when there was a rise the diversified species of the Acritarchs and this development sustained through the entire Neoproterozoic era. However, at the time of Cryogenian glaciations these species faced a small decrease in their number. Rodinia, the super continent was known to exist in this Tonian Period. Surrounded by the Mirovian Ocean this super continent centered somewhat south of the equator. It was also assumed that there were several inland seas. The Stromatolites where found both in the fresh water of the inland seas and also along the outer coasts or the marine environment. Life in the Cryogenian period was affected by the massive glaciations and snowball earth. Studies claim that there was a dip in the abundance of all kinds of life forms in this period but there are some contradictory theories too. Several species may have evolved during this time period and have undergone significant changes and developments. The Cryogenian period saw the influx of the red and blue algae, ciliates, dinoflagellates and testate and also amoeba that are very significant as they are the first fossils that were evident of the eukaryotic heterotrophs. This period marked the end of the Neoproterozoic era, it is assumed to have lasted from 653 million years to 542 million years ago. The International Committee on Stratigraphy gave and recognized the name of Ediacaran. However, it is the older name, Vendian which was widely used. To define the Ediacaran period stratigraphically, it can be said that by the geostratigraphically the lower limit can be determined while bio-stratigraphically, the upper limit. According to the conventional theory, with the emergence of the trilobites there occurred the separation between the Precambrian and the Cambrian. Trichophycus pedum accepted that the first emergence of the left-burrowing organisms marked Ediacaran’s end. At the beginning there were numerous glaciations which were generally known as the varanger-marinoan ice ages. This period was supposed to have existed from 605 to 585 million years ago. This period may or may not include the snowball earth period; the evident are not all conclusive. However, the second phase of the Ediacaran period saw a warm and humid climate rising to higher latitudes especially in the areas of the southern hemisphere. This was during 585 to 542 million years ago. However, when the Cambrian era began to set in with the end of this period, there was immense cooling that resulted in glaciations in higher latitudes. The super continent of Rodinian began its breaking process nearly 750million years ago and for some time, which is estimated nearly 600million years ago, started to drift towards Pannotia, which was considered as a super continent and thought to have existed for a short time between the Orogeny of Pan African. The Ediacaran period saw the abundance of the multi-cellular life forms. 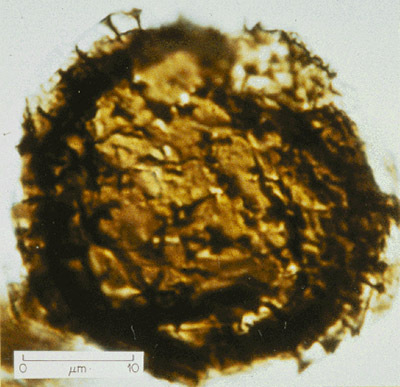 The fossils of the earlier organisms found during this period was of Aspidella disks which are relatively simpler disk like impression and left on the rocks recognized to be of soft-bodied creatures. The earliest fossils were found nearly before 610 million years in the the Mackenzie Mountains’ Twitya Formation situated in the northwest Canada. Interesting features of these marks are that they have been identified as sessile organisms’ foot pedals or the basal attachments. They are even considered as the cnidarians grades, which are compared to the present day cnidarians. Some more cnidarians includes organisms such as the sea anemones, hydra, jellyfish, corals, etc. These organisms are the simplest types of metazoans that do not have any body parts or organs except for a stomach cavity and a mouth covered with tentacles. The Aspidella is noticed for being the sole cnidarians grade metazoans which are discovered below the glacial deposits of Varangian.